Save up to £359 per employee in your business. Whether you’re trying to meet an auditor’s expectations, share the details from your latest meeting with delegates, or go through the ever increasing pile of invoices, our document workflow service is on hand to make your print environment as professional as possible. By mapping your existing document workflows, we can identify any inefficiencies and then design and implement a new and improved automated workflow. This will provide you with a proven and speedier audit trail that improves resilience, security and accountability in your workplace. We’ll provide you with information to make intelligent business decisions when improving processes, quickly laying a foundation for measurable workflow optimisation and cost reduction. Streamline line your audit capabilities and gain new insights into business process trends, document usage and workflows in your business. 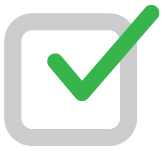 A proven audit trail that adds resilience, security and accountability in your workplace. Why Use Document Workflow Services? Increase productivity by automatically routing documents, to a specified folder destination or person, according to the relevant document content – such as a number or string of text. Collaborate with documents using simple sharing capabilities that help you to deliver information quickly whilst maintaining an audit trail & avoiding postal costs. 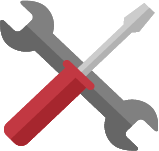 Search archives, using keywords that make documents easy to find, and enable version control to accurately manage changes. 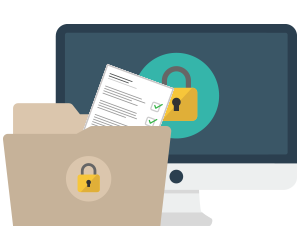 Keep documents securely backed up for quick disaster recovery and provide easy team access for efficient collaboration – all whilst reducing storage requirements & freeing up wasted office space. Access documents on the move for anytime, anywhere access via a mobile or tablet – helping you to stay responsive and work quickly whilst on the move. Capability to edit, store and send PDFs and other documents makes it quicker & easier to work on the documents that you need to use. Contracts & Billing • Purchase Orders • Delivery Notes • Invoices • Application Forms • And More! 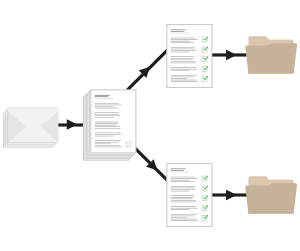 What is a Document Workflow Service? Document Workflow Services help you to better understand the document workflows within your company by providing data-driven insights that help you to make informed decisions around document-based business processes and workflow optimisation. With a single document driving dozens of workflows, activities and processes, and reporting tools that reveal the nature and cost of document processes, our Document Workflow Services will help drive decisions to simply processes, reduce costs and minimise complexity within your business. Our expert team will provide a data-driven view of your document-based business processes, evaluate the efficiency of your working environment and suggest solutions to optimise document-related workflows and improve productivity. We’ll begin by capturing quantitative data, to analyse your current document workflow, and qualitative information, about why documents are printed, shared and moved around your business. Using this information, we will provide a data-driven assessment of document-based business processes with recommendations and actionable insights to that will help improve your workflows. 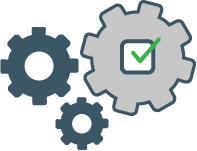 Following an initial assessment of your workflows, our expert team will identify any inefficiencies and areas for improvement before suggesting solutions to help simply and automate workflows, increase productivity and reduce costs. 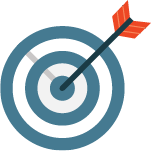 Working with you, we’ll build a bespoke package to meet your specific business requirements and will continually optimise your workflows to ensure maximum efficiency, keeping you engaged through dashboards, content management systems and other exciting innovations. Providing valuable insights into the ways documents flow through your organisation, our Document Workflow Services deliver the information required to make intelligent business decisions when improving processes, quickly laying a foundation for measurable workflow optimisation and cost reduction. • Identify who prints what, where and why. Our Document Workflow Service goes beyond identifying where documents reside and what devices are used. Using innovative tools to capture, analyse and present data about your documents workflows, we provide intelligent analytics and a data driven visualisation of document-based business processes that help you to optimise print and document workflows. Industry experts will reveal the complex relationships between documents, processes and people to help you see your documents in a whole new way and offer solutions that make scanning and digitizing paper documents a real business transformation. 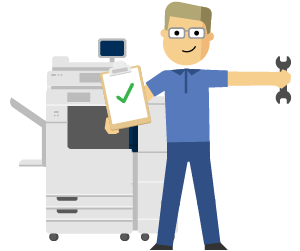 We provide a single, centralised solution for management of all your printing, scanning and archiving devices, giving you the convenience and continuity of dealing with a single contact and supplier. 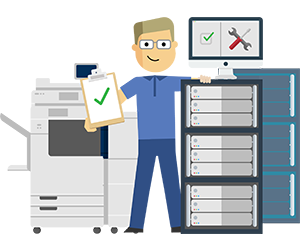 Supporting more than 1,200 print devices from various manufacturers in one common framework, we provide a full range of services for managing document assets and infrastructure in the office regardless of brand. We know how important it is to avoid disruptions when introducing new business processes – that’s why we deliver change management support to help customers and users, from small businesses to global enterprises, successfully adapt to new technology and streamlined work processes. We’ll begin by capturing quantitative data, to analyse your current document workflow, and qualitative information, about why documents are printed, shared and moved around your business. Using this information we will provide a data-driven assessment of document-based business processes with recommendations and actionable insights to that will help improve your workflows. To discover how our Document Workflow Services could help you to save up to £359 per employee in your business, contact us today!